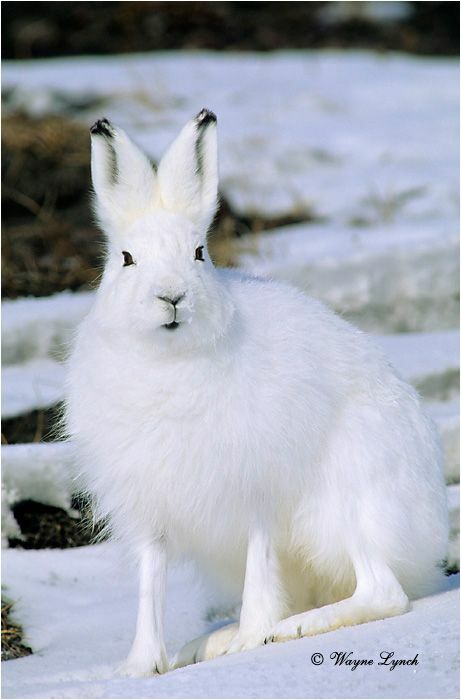 The Arctic hare (Lepus arcticus) is a species of hare which is highly adapted to living in the Arctic tundra, and other icy biomes. 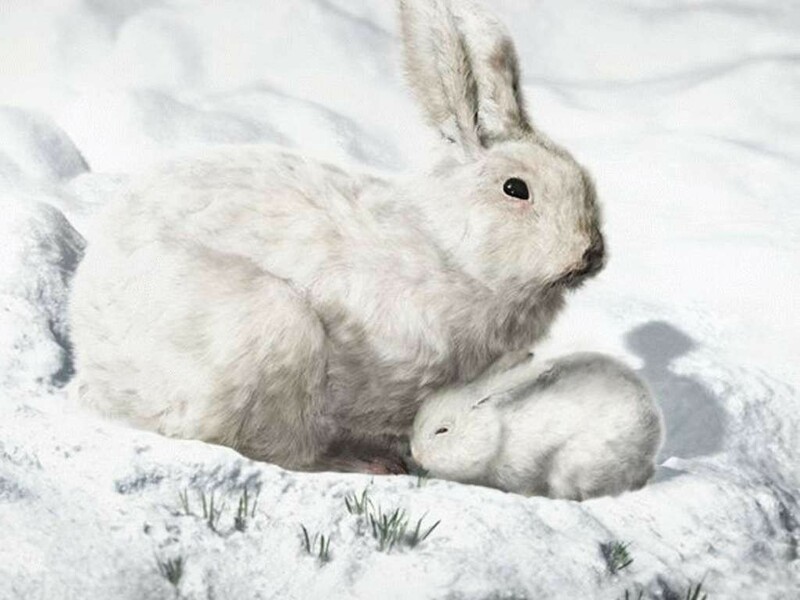 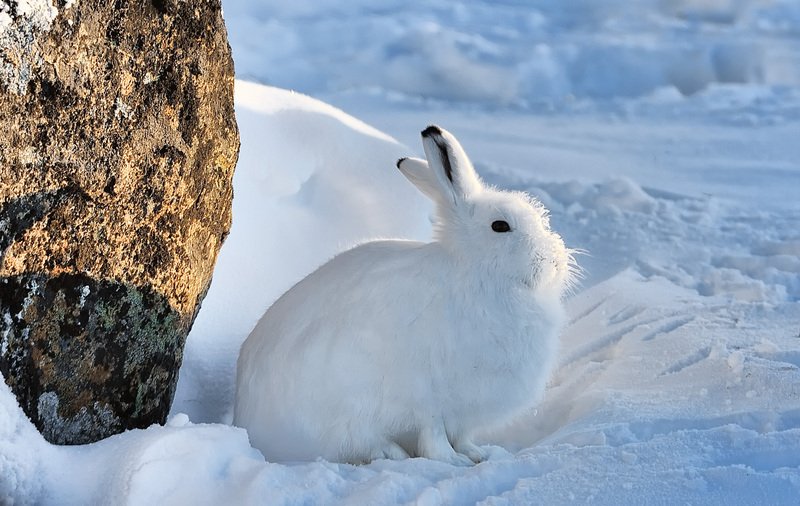 The Arctic hare survives with shortened ears and limbs, a small nose, fat that makes up 20% of its body, and a thick coat of fur. 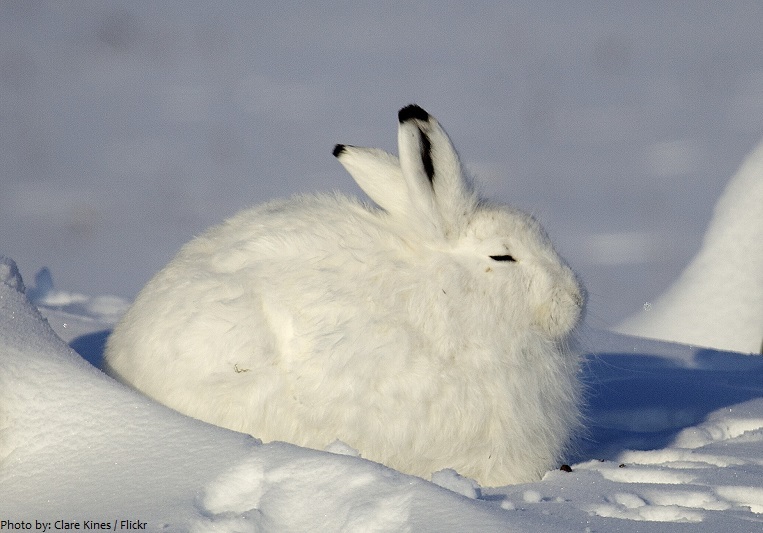 It usually digs holes in the ground or under snow to keep warm and sleep. 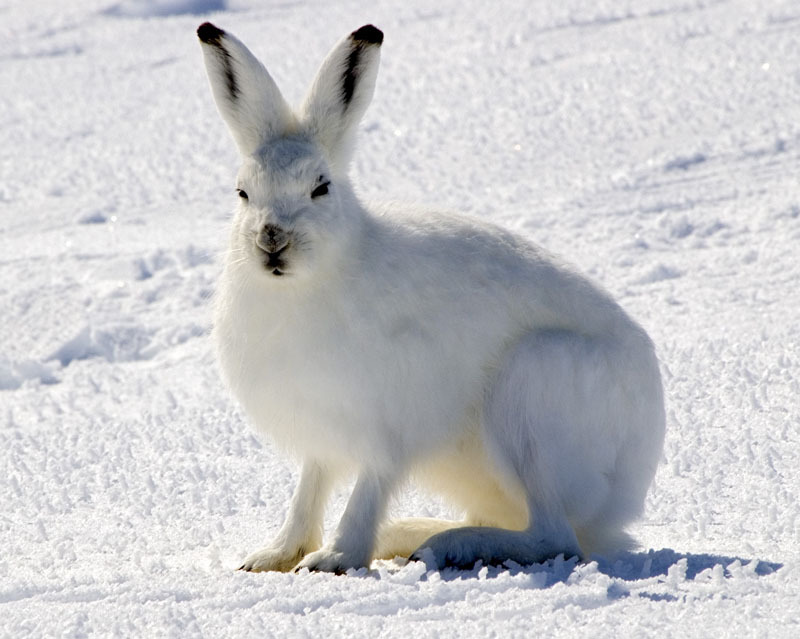 Arctic hares look like rabbits but have shorter ears, are taller when standing, and, unlike rabbits, can thrive in extreme cold. 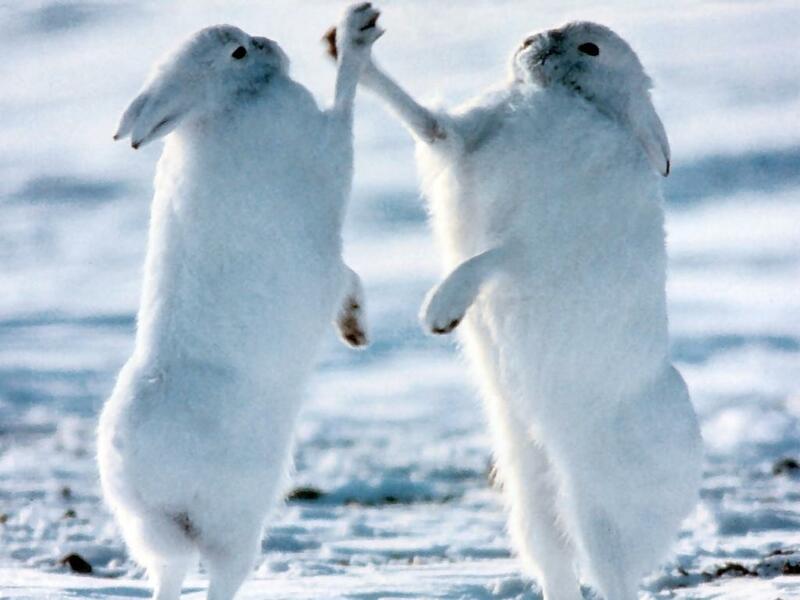 They can travel together with many other hares, sometimes huddling with dozens or more, but are usually found alone, sometimes taking more than one partner. 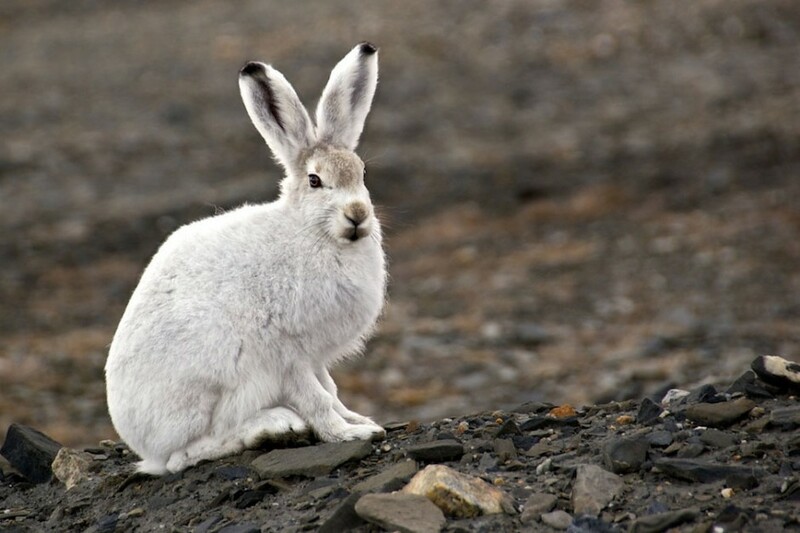 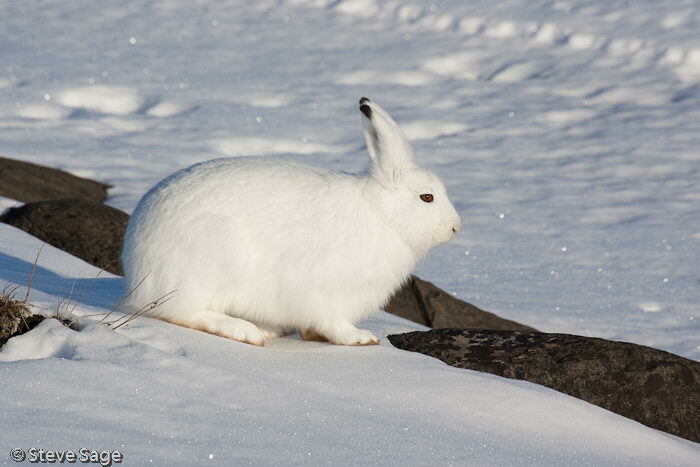 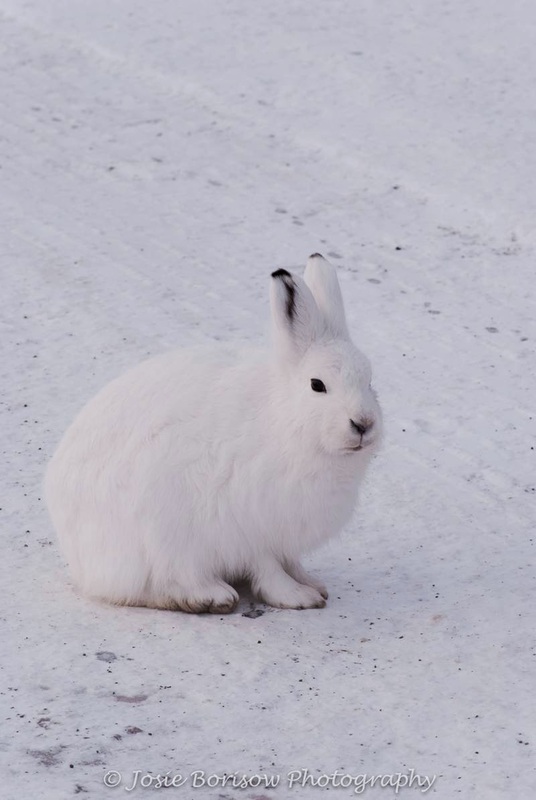 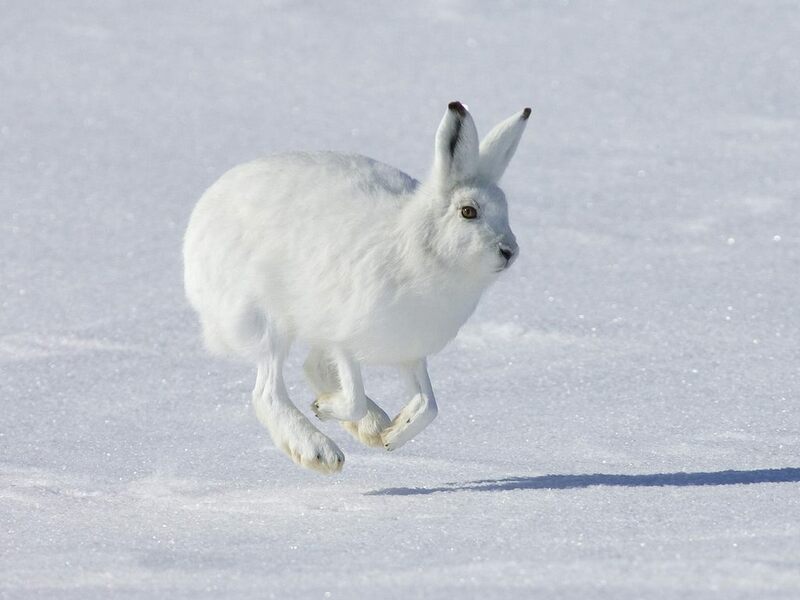 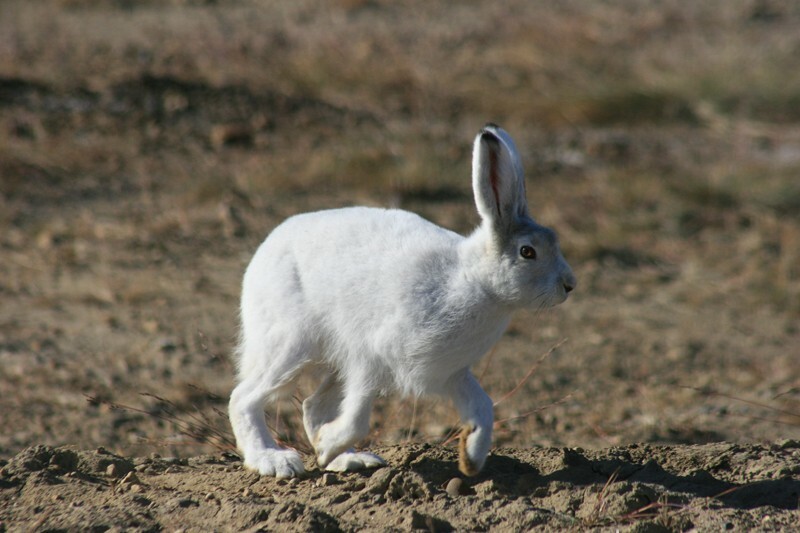 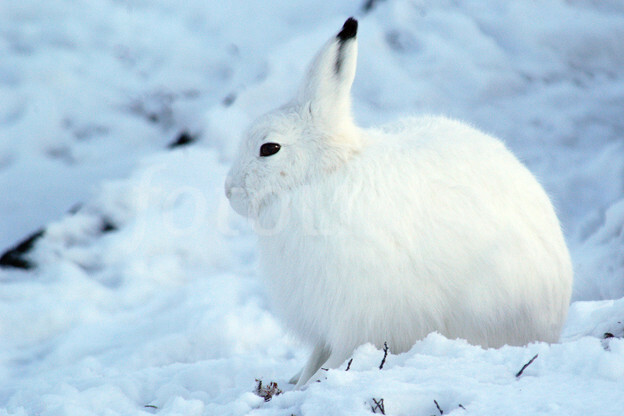 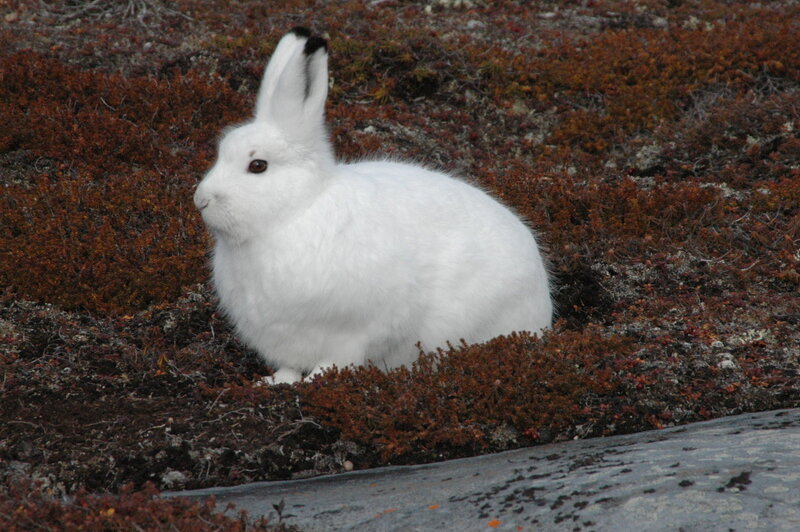 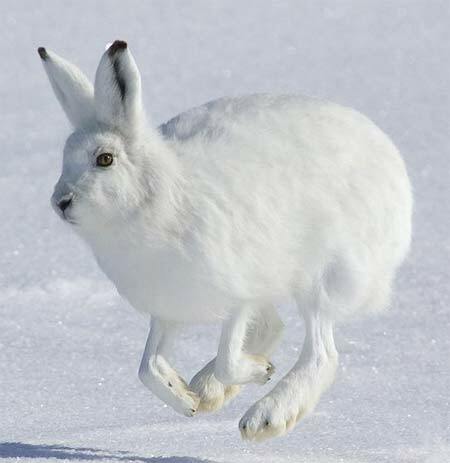 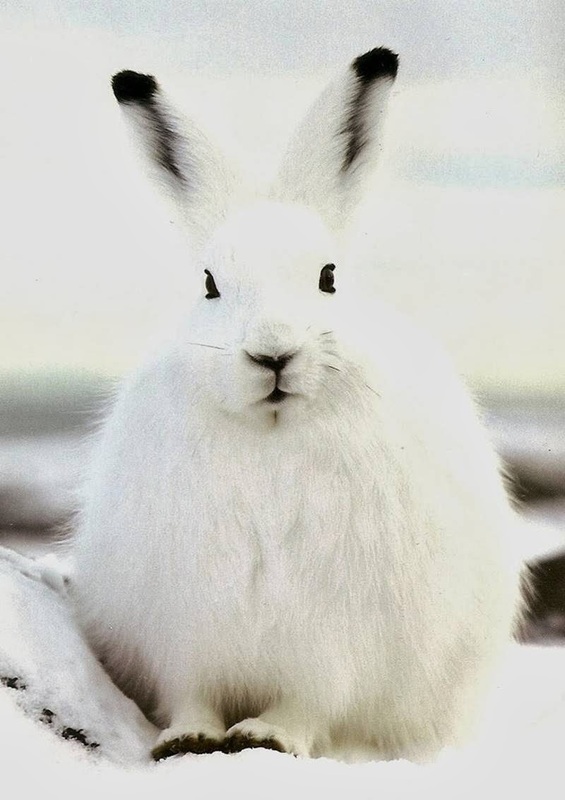 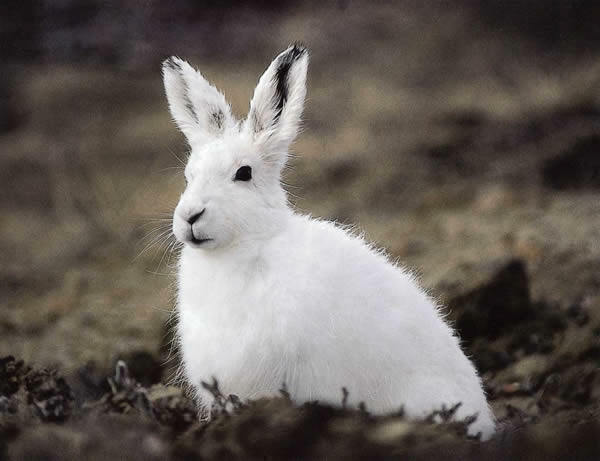 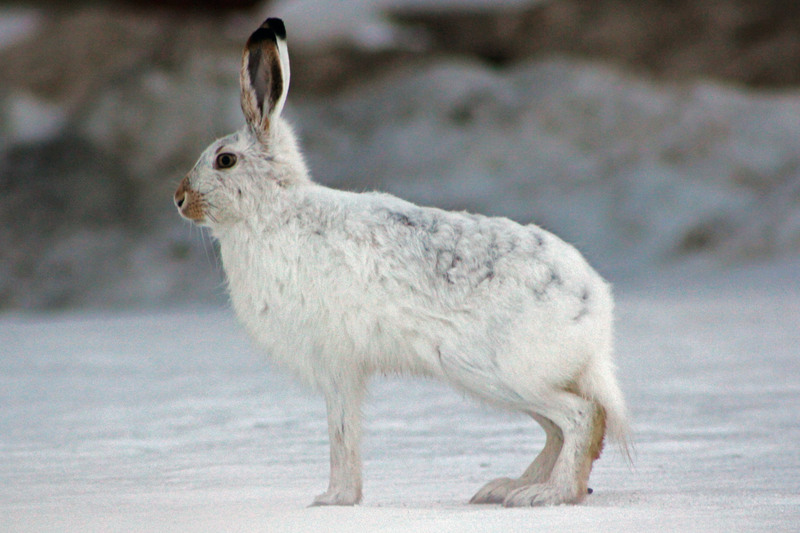 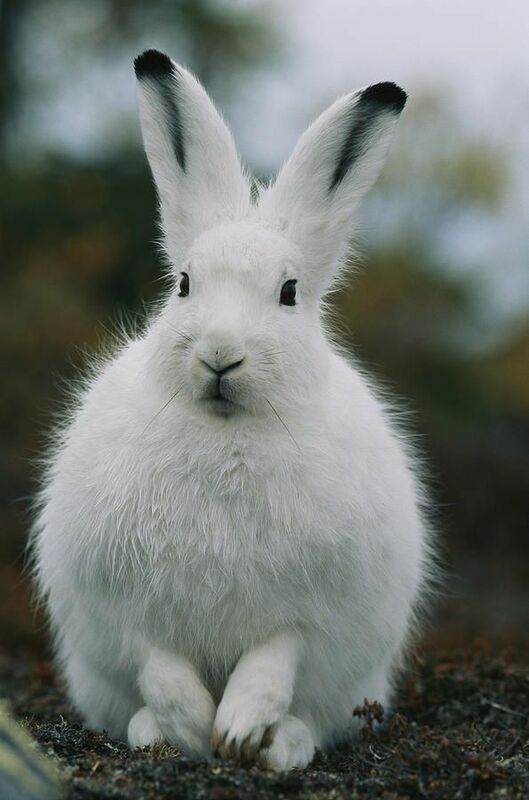 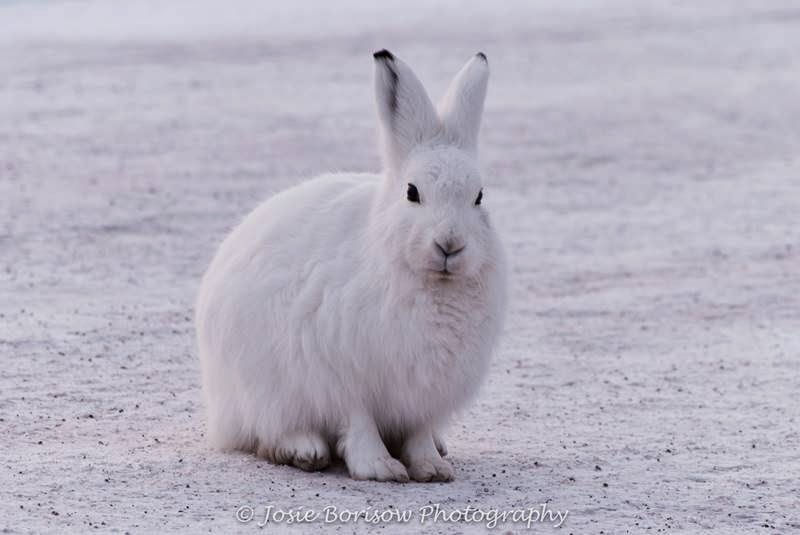 The Arctic hare can run up to 60 kilometres per hour (40 mph).